The Reducer is a transmission block (Comparator, Repeater) that reduces the strength of Redstone powered by it. It has five modes: reduce (-1, -2, -4, -8) and null. It is unique in that it overrides other power sources. When the Reducer is powered, the strength of the Redstone attached to its output will match it regardless of the surrounding power sources. Once a signal has been overridden, it can be reset by updating the signal. Reduce mode is separated into four levels: -1, -2, -4, and -8. When the Reducer is powered, it decreases the strength of Redstone Dust connected to its output by the Reducer's current level. 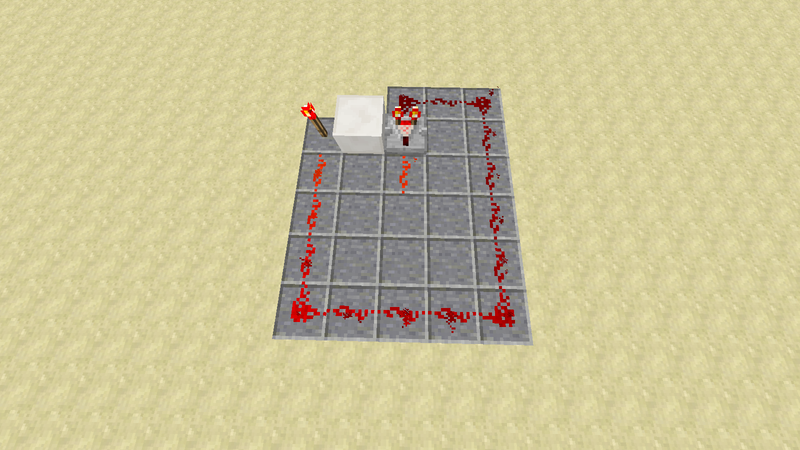 When powered in null mode, the Reducer completely overrides the strength of Redstone Dust attached to its output to 0. Note that null mode's output is not -16. Theoretically, it should be negative infinity. To keep technical problems down however, its output will be -64. Reducers can be chained together to increase the level of reduction. These connected Reducers will not have an increased delay and will act as if it were a single Reducer. This trait is exclusive to Reducers. In addition to reducing the strength of Redstone Dust, the Reducer can also target blocks. This includes Pistons, Powered Rails, and Repeaters. Reducers have unique interaction with Comparators. If a Reducer is pointed at the side of a Comparator, it will increase the strength of the Comparator's output. If the Comparator is in subtraction mode, this behavior changes to increasing the Comparator's input strength during calculations. In essence, this guarantees a minimum value when subtraction is finished. Typically, a Comparator in subtraction mode follows the logic of X - Y = Z. When the Reducer is fed into the side of a Comparator, that math becomes (X + A) - Y = Z. If A is a null Reducer however, things get a bit different. Because null mode represents negative infinity, a new behavior appears. No matter what is number is fed into the subtraction, the Comparator's output will always be 15. Out of subtraction mode, Z would simply be whatever the highest input that is fed into the Comparator is. In that case, the math switches to Z + A. As an added note, the Reducer will only add to the Comparator if the Comparator is powered. If the Comparator is not powered, then nothing happens. 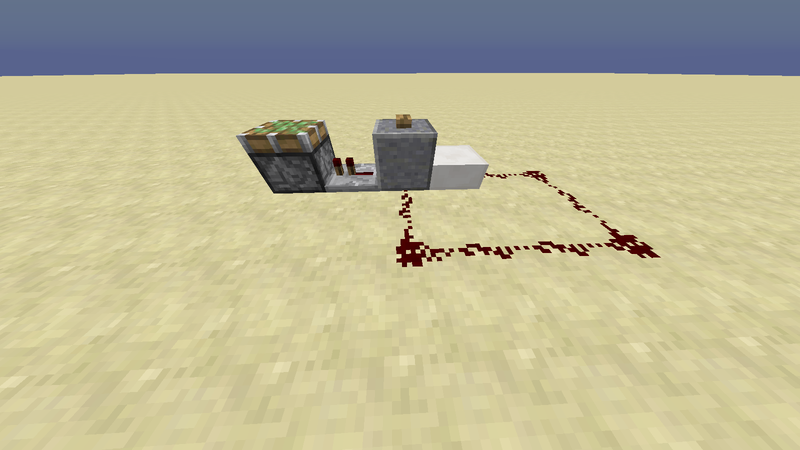 Reducers have a delay of 2 ticks or a single Redstone tick, the same as Comparators and Repeaters. Reducers will only affect source wires and end wires. Source wires are wires that are powered by a block (Button, Comparator, Repeater) and transfer power to connected wires. End wires are the ends of wires that typically feed into a block as an input. The Reducer is pointing at the lone Redstone Wire powered by a Redstone Torch. A Redstone Torch 2 blocks away is feeding the Reducer a signal strength of 14. Note how the lone Wire is outputting a level of 1. A Monostable Circuit using a null mode Reducer. When the button is pushed, a signal is fed into the Repeater, raising the Sticky Piston. At the same time that the Repeater is fed, the Reducer is activated, setting the button's output to zero. At the end of it all, the button's original output has been reduced to a single tick. After that tick is over, the Piston immediately retracts itself. A display of the Reducer's unique interaction with Comparators. The input fed into the Comparator has a strength of 1. However, because the Reducer connected to it is in null mode, the Comparator is fully powered, increasing the signal strength of its output to 15. An example of the chaining behavior of the Reducer. The Repeater is powered and locked. There are two -8 Reducers chained into the side of it. The two Reducers add up into a -16 Reducer. Because of its override behavior, the Reducer bypasses the locked Repeater, setting its signal strength to 0 until it is unlocked. Currently all redstonelogic is additive: a given block's redstone power strength is always the strongest of all of it's inputs. Having such a way to "cut through" and impose a lower value would be useful I think, so .... support ! In the second example image, the reducer is pointing TOWARDS the full block under the button, right ? Currently the only way I know to reduce strength is through distance, so this would be useful for more compact designs. It has my support. Edit: How do two reducers work with each other? When two Reducers point at the same Redstone Dust, they will both subtract it. Think of it like having two vacuums vacuuming a single jug of water. -reduction mode: comparators already do this. Why do you want another element to do the exact same thing? 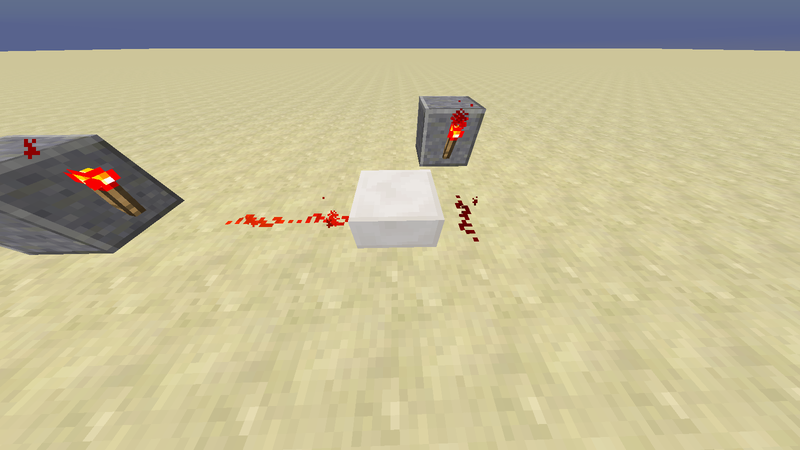 - null mode: this is exactly what a redstone torch already does. Again, why repeat what another element already does? Override other power sources to a line is the only new thing about the reducer I see and would be useful, however, due to the way redstone works currently this couldn't be done very easily. Right now each component only affects the block directly around them or the block they point at and only when they get a block update for lag reasons. You'd have to have the reducer search for other power sources and somehow deactivate them all along the line which would cause a fair amount of lag. However, your example with the button is cool. Perhaps whatever a reducer points at when it is powered could be immediately turned off in null mode. This would not cause lag due to it being linear. Just make it turn off whatever is in front of it and reset it when it first receives power. Your reducer would be more useful if it simply did the following instead of your subtraction mode: reduce signal strength of input by X amount. Period. Nothing else does this in so compact a fashion. The amount X can be changed by a toggle button just like the repeater. Now inputs to comparators can be way more compact, etc, and it's function as "reducer" is more clear instead of just copying what other elements already do. Think of it like how Dispensers and Droppers are both in the game, despite doing similar things. The original idea was simply a Nullifier Block, but seeing as it didn't do much alone, I thought I could solve a problem by tossing in the subtraction function. For instance, there is no way you can change a Comparator's mode without toggling it manually. Torches do nothing of this sort. They turn on and they turn off, providing a source of power. The Reducer overrides that and turns things off. Override other power sources to a line is the only new thing about the reducer I see and would be useful, however, due to the way redstone works currently this couldn't be done very easily. Right now each component only affects the block directly around them or the block they point at and only when they get a block update for lag reasons. You'd have to have the reducer search for other power sources and somehow deactivate them all along the line which would cause a fair amount of lag. However, your example with the button is cool. For that reason, only wire sources and wire ends can be reduced. Apparently, the forums ended up destroying one of my spoiler boxes with the technical details. Perhaps whatever a reducer points at when it is powered could be immediately turned off in null mode. This would not cause lag due to it being linear. Just make it turn off whatever is in front of it and reset it when it first receives power. When a signal has been reduced or nullified, it resets itself at the next signal update. I believe that Redstone already has its own method of automatic power adjustment, so lag wouldn't be an issue. Your reducer would be more useful if it simply did the following instead of your subtraction mode: reduce signal strength of input by X amount. Period. Nothing else does this in so compact a fashion. The amount X can be changed by a toggle button just like the repeater. Now inputs to comparators can be way more compact, etc, and it's function as "reducer" is more clear instead of just copying what other elements already do. Surprisingly, that was actually the original idea. Originally, there were options for 1, 2, 4, 8, and 16 (null). The only reason why I went with an analog input was because it made it easier to demonstrate in the mock-up images. I was planning on re-adding them later once I figured out which numbers to use to keep it within 4 modes. Your spoiler for the "null" mode sounded exactly like a torch. You said it would output "zero power if given power". This is exactly how the torch functions. Maybe you should make it more clear that it is not "outputting" a 0 when it receives power (like the torch). But is instead turning the block in front of it "off" when powered. This was unclear to me, but is now after your explanations. 1. Reducing signal by X amount (levels don't matter much to me, but I'd suggests regular spacing like 4, 8, 12, 16, 16 being null mode and effectively turning "off" what is in front of it). Could you explain why we need this? I mean, it makes sense, in a sort of way, because we have one that enhances it, so why not one that reduces it? But from a common sense point of view, why do we need this? 100% support can someone make a banner? Hm... so let's see if I understand this correctly. 1. In Null mode, it "override" the power state of a block to 0. My question is how different is this from powering said block with a comparator in subtraction mode and feed a repeater (which will function as a reducer) into the side of said comparator? The final behavior would still be identical. 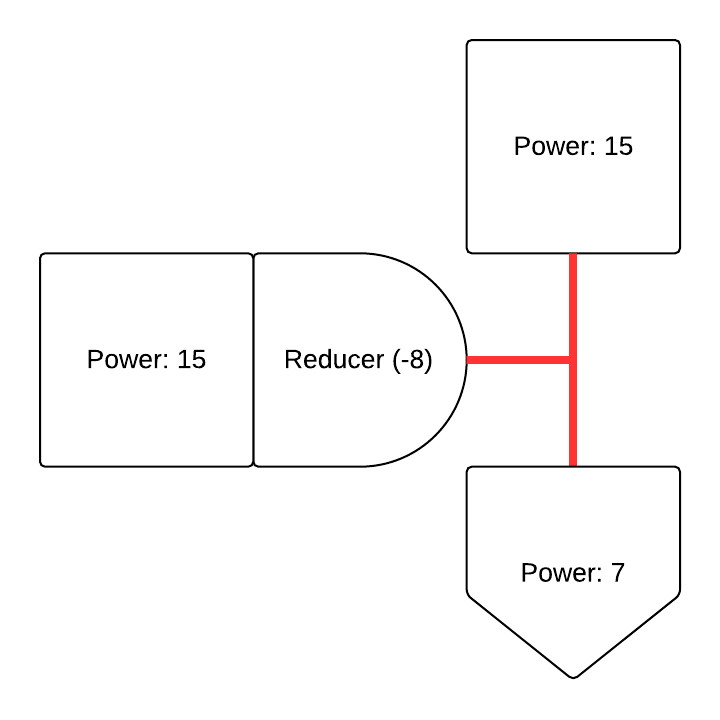 If the repeater is unpowered, then the block power state will be the same as the comparator's power state. If the repeater is powered, it will feed the full 15 signal into the comparator's side, which means that any signal entering the comparator will be zeroed out. 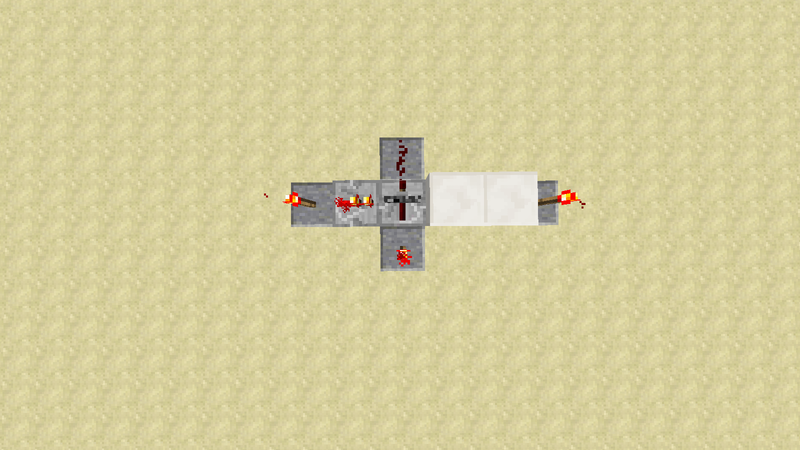 In short, the null mode would, at best, reduce the number of blocks needed in a redstone circuit by one. 2. As you stated, the reducer mode is a bit slapped on as it is, in effect, a comparator in subtraction mode. strong>Think of it like how Dispensers and Droppers are both in the game, despite doing similar things. Except it's not the same. Dispenser will "use" the item in it (as if player is right-clicking with it on the block in front of the dispenser). Dropper only "drop" the item (as if player move it out of their inventory). Two very different purposes. I don't think we have one that "enhances" (or add) to redstone signal. The only thing we have always set signal to the full 15 if its input is >0. Perhaps this would make for a good, separate suggestion? An analog adder (instead of subtraction, add side signal to the input signal). The most compact analog "adder" I can think of involves three comparators. 2. Feed full power into input of comparator, and the first analog value into the side. 3. Feed the output of the comparator into a second comparator, and the second analog value into the side. 4. Feed the output of the second comparator into the side of the third comparator, feed full power into input. In essence, to compute X+Y you go. Obviously limit, X + Y cannot be larger than 15 (if they're are, the output maxes out at 15). Alright, I've updated the technical details and switched back to a 5-toggle system suggested by danaphanous. 2. I added a behavior to the Reducer to further distance it from the Comparator. Unlike it, it will reduce the strength of any block. This includes Repeaters. When the Reducer is fed into a Comparator, it adds to its signal strength. If the Comparator is in subtraction mode, it increases the Comparator's base value. I don't think we have one that "enhances" (or add) to redstone signal. If you set up redstone to a redstone repeater without setting any delay, it will add to it. This is a good idea, it could be useful. That's not exactly the same as adding. Redstone repeater will always output 15, regardless of its input strength. I would imagine that "adding" to a signal would mean that it adds a certain amount, say 4, to the input signal. So signal level of 1 goes in, 5 comes out. I do have to say that this is a pretty neat idea, and I do indeed support this.